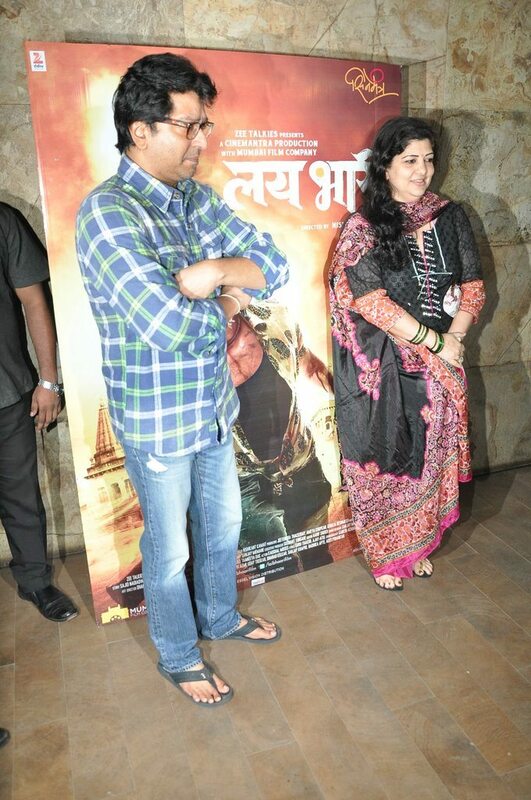 Marathi movie Lai Bhari gets a political audience! 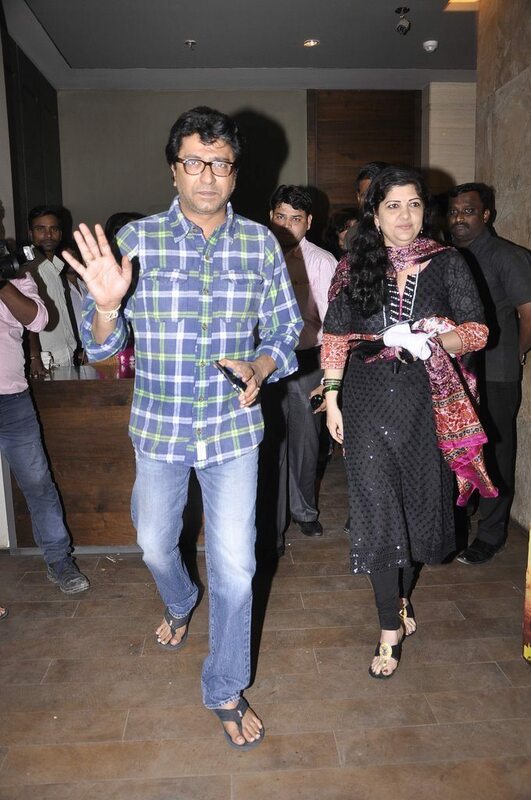 A special screening of the marathi movie Lai Bhari was hosted by the film’s director Nishikant Kamat for MNS chief Raj Thakeray at Lightbox in Mumbai on July 9, 2014. The political scion – Thackeray – attended the special screening along with wife Sharmila Thackeray. After the screening, the firebrand politician obliged to the media’s requests for photographs. 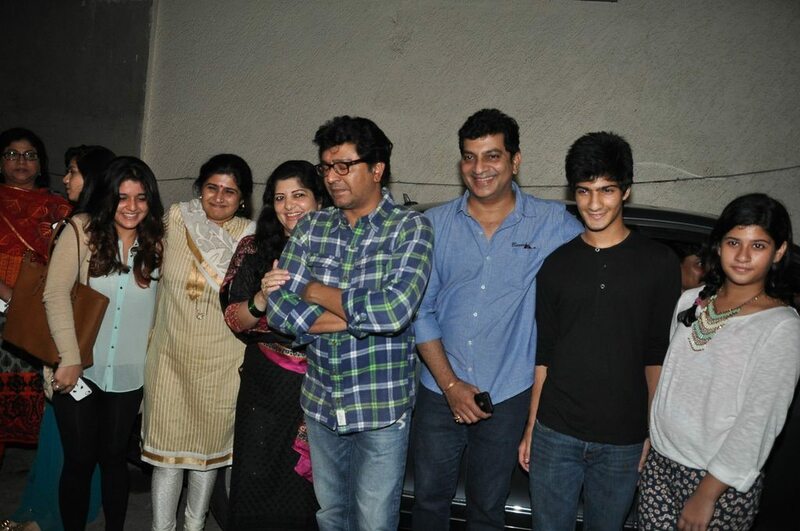 Other celebs who were also at the screening included Sanjay Kapoor and Sharad Kelkar. The story of the movie revolves around a boy named Mauli who fights against injustice. 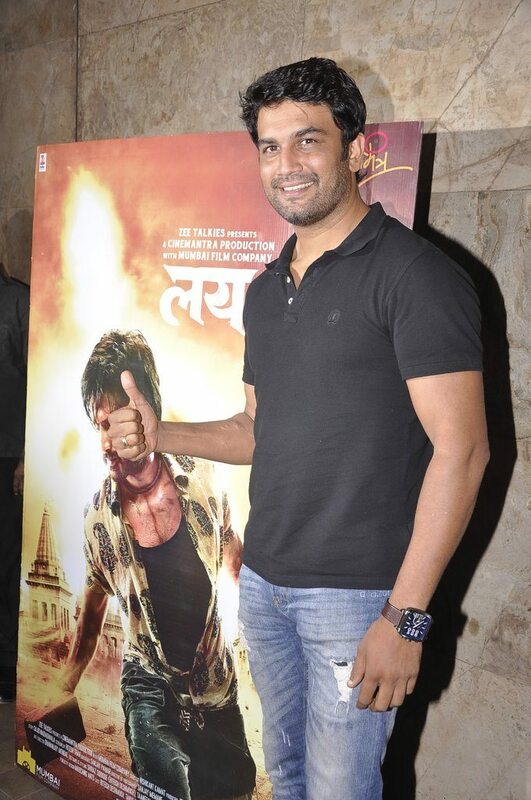 The film’s music has been composed by Ajay Atul. Lai Bhari is all set to have a nationwide release on July 11, 2014.